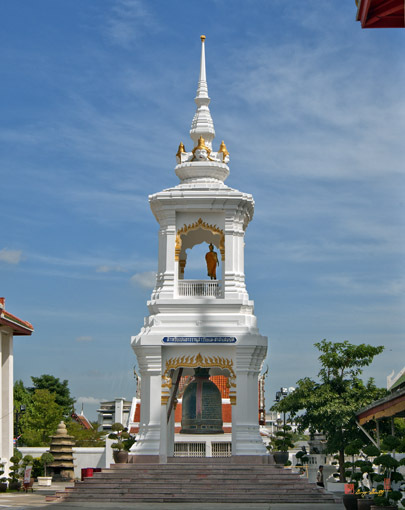 Wat Kanlayanamit Woramahawihan, วัดกัลยณมิตรวรมหาวิหาร, is a second class royal temple of the Woramahawihan type. In 1835 (B.E. 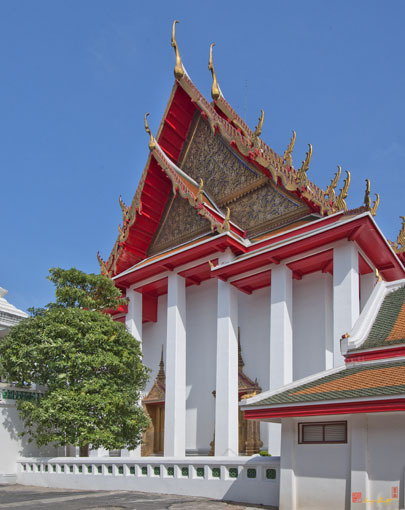 2368) when he received the title of Phraya Ratsuphawadi (the Director General of Phra Suratsawadi Klang Department), Chao Phraya Nikorn Bodin (Toh Kanlayanamit), a son of Phra Phichai Wari (Mae Sae Eumg), not only donated his own house, including the land, but also bought additional land in the nearby area which was formerly called Kudi Chin Village, to build a temple. 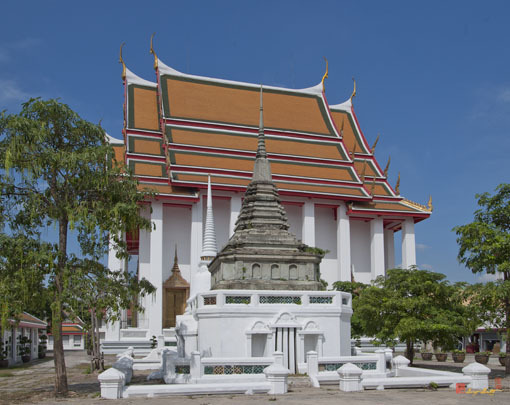 This was during the reign of King Rama III and Chao Phraya Nikorn Bodin presented the temple to be designated as a royal temple. 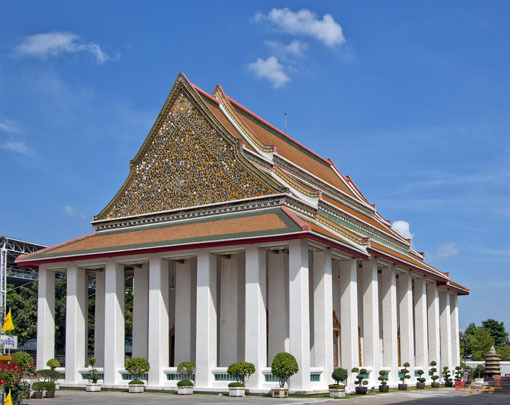 King Rama III graciously named the temple Wat Kanlayanamit. 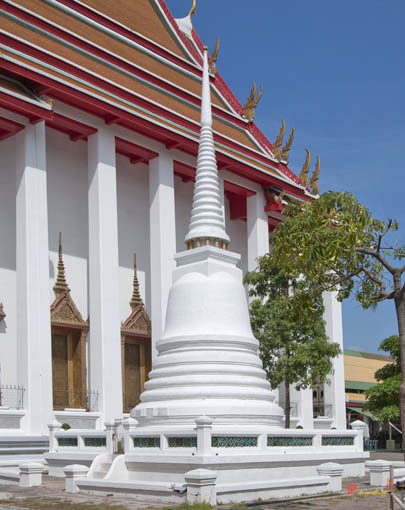 At the same time, King Rama III ordered that a royal Wihan (Hall of Worship) be built to house a principal Buddha image made of plaster. The image was in the subduing Mara (demon) posture and was 11.75 meters in width and 15.45 meters in height. 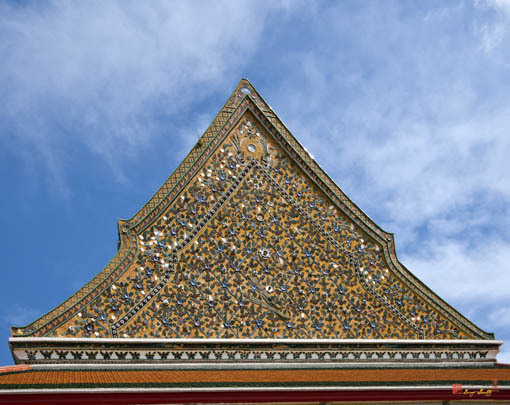 People usually called this image Phra Toh. 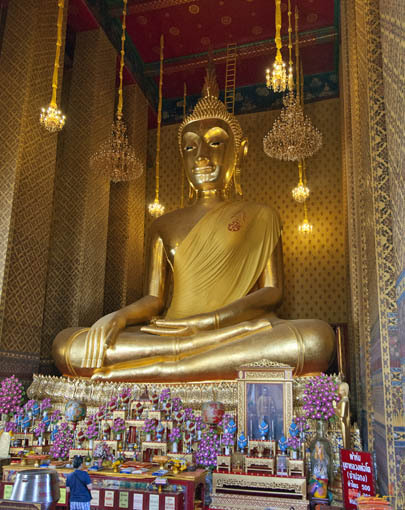 Later King Rama IV kindly named it Phra Buddha Trai Rattananayok. This image is respected by people all over, especially the Chinese people who called it Sam Por Hud Kong or Sam Por Kong. 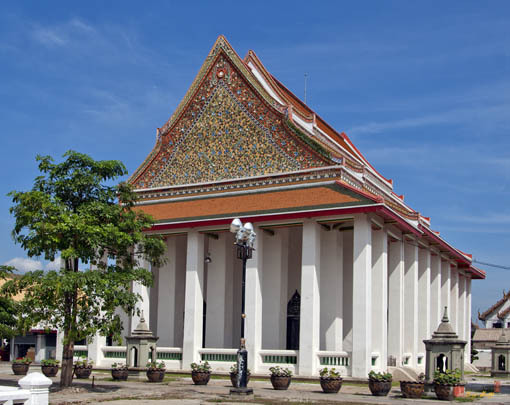 King Rama IV also graciously ordered the construction of Hor Phratham Monthian Thaloeng Phrakiat (Buddhist library) for the temple in 1865 (B.E. 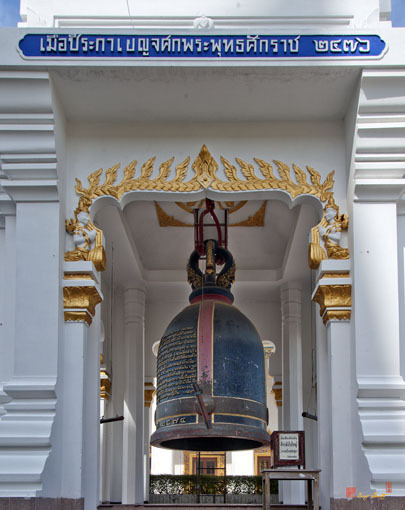 2408) in order to keep Pali Canons (Lord Buddha's teachings) and all of the temple's Buddhist scriptures. 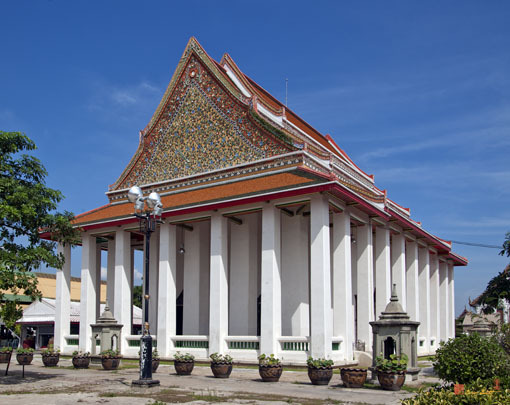 The basement of Phra Ubosot (Ordination Hall) was originally the house of Chao Phraya Nikorn Bodin. 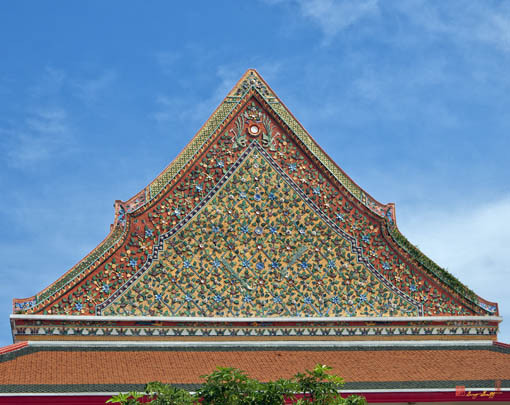 The Ubosot is made from brick in Chinese architectural style with no roof finials. Inside the Ubosot there are mural paintings depicting the story of Lord Buddha's life. 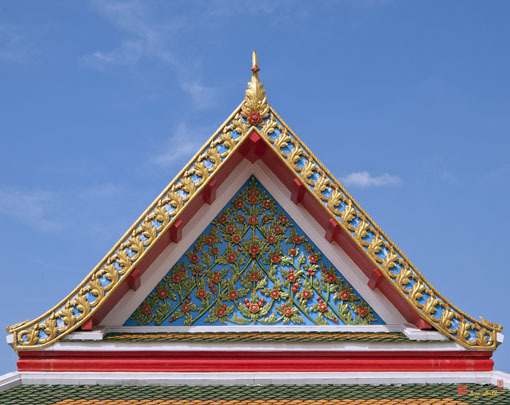 There is also a set of sacrificial accessories in Thai-Chinese architectural style. 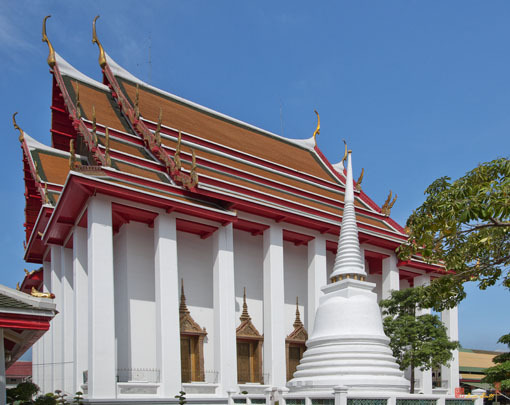 The Fine Arts Department registered the temple as a national ancient monument in 1949 (B.E. 2492).